Many fitness enthusiasts find it difficult to follow their normal exercise plan while traveling to see family or friends for the winter holidays. 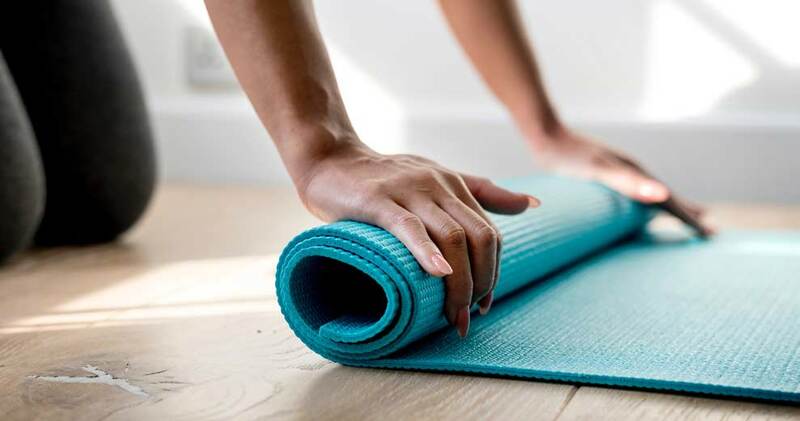 Unfamiliar environments, tightly packed family living conditions, or lack of exercise equipment may hamper even a fitness fanatic’s best intentions for staying fit while traveling this holiday season. “If you’ve worked hard to establish a good fitness routine, traveling for the holidays doesn’t have to mean your healthy habits will be derailed. You can keep your momentum and endorphins flowing and maintain your fitness level when traveling,” said Alex Vitale, a V Shred Lead Trainer, Certified Personal Trainer through the National Council of Strength and Fitness and a graduate of the Equinox Fitness Training Institute. Lift from your knees, not your back. Be aware of your posture as you carry your bags and use good body mechanics when lifting your suitcases up to the check-in counter or into the car. Even though you’ve left behind your daily routine, try to eat three meals a day and maintain a balanced diet by eating plenty of fruit and vegetables. If you’re going to eat a high-fat meal, have a smaller portion, or order an appetizer instead of a main course. If your schedule is shot and you’re not sleeping enough at night, take catnaps whenever you get the chance. Be sure to stretch in the morning and evening, especially if you’ve been sitting all day. Bananas, apples, yogurt and protein bars are all great examples. You can make meal replacement shakes in your hotel room without a blender. Just bring a container with a tight-fitting lid, large enough to shake the contents. Pack a jump rope for a go-anywhere aerobic session. Additionally, invest in travel weights—inflatable weights that can be filled with water or sand then folded and stored while on the road. Also, plan active recreation during vacations. When sightseeing, choose to walk. You’ll not only see more, but you’ll be sneaking in some extra activity. If you work with a personal trainer, ask him or her to design an exercise plan before you leave town. An instant-relaxer and can be done anywhere at any time, try taking 4-5 deep, cleansing breaths several times during your flight. Bend forward slightly, hands on knees and “rolling” your shoulders in a circular motion five or six times. Repeat the “roll” in the opposite direction and finish up by “shrugging” your shoulders up and down five times. Reach overhead, holding elbows and bending side to side. Repeat five times in each direction. Alternate lifting your knees toward your chest and bringing your body toward your knee to the count of eight. “Draw” the alphabet with one foot, then the other. Original information courtesy of Alex Vitale. Alex is a V Shred Lead Trainer, Certified Personal Trainer through the National Council of Strength and Fitness and a graduate of the Equinox Fitness Training Institute, a global leader in applied exercise science education. Alex’s mission as a personal trainer is to, not only help people to get in shape, but also to take more control over their lives and up-level to the best version of themselves possible.